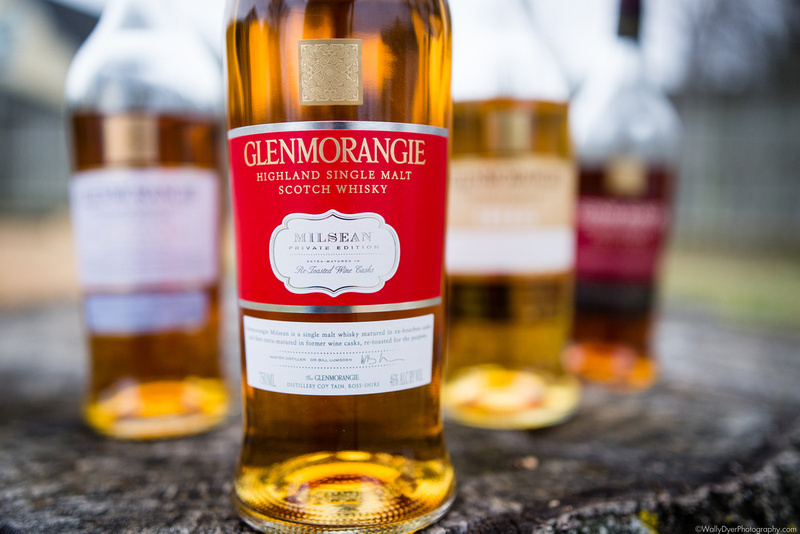 Glenmorangie has done it again. I’m not sure they set out to create a dessert scotch with the Nectar D’or but scotch lovers responded very well to the very sweet, finished-in-dessert-wine-casks offering. That was 2011. 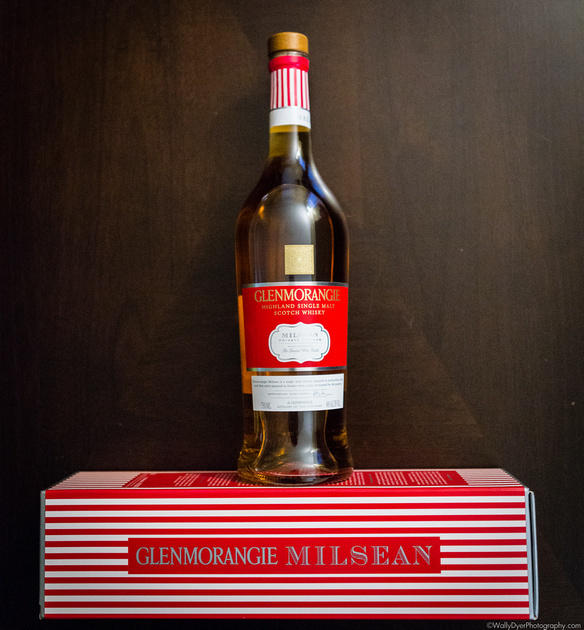 Here we are five years later and Glenmorangie has just released its seventh annual private edition bottling, called the Milsean (pronounced “Meel-Shawn”, it’s Scot’s Gaelic for “sweet things”). This offering was “extra-finished” in re-toasted red wine casks and bottled to look like something out of a candy shop (or sweetshop as the bottle reads). 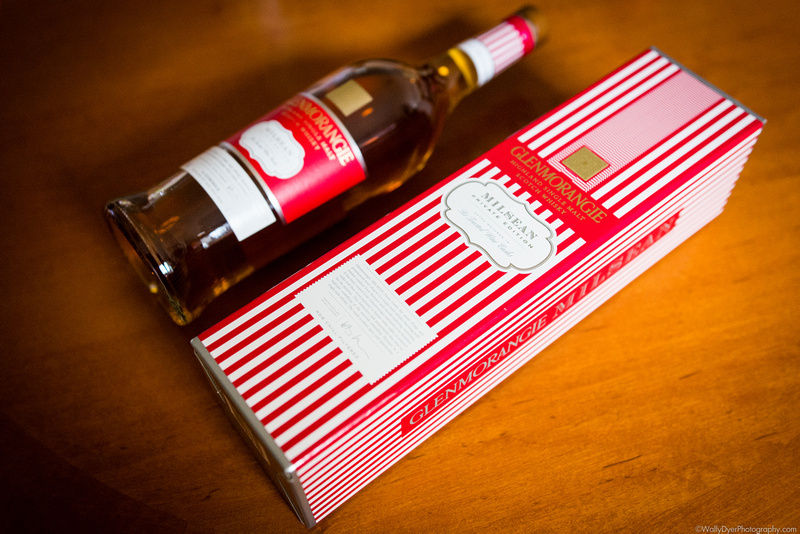 The alternating red and white stripes of the box and bottle are reminiscent of peppermints and for good reason. Nose: Immediately your nose bombarded with a birthday-cake-icing level of sweetness with fruity overtones like those you’d take in smelling the syrup from a can of assorted fruit. (I’m quickly reminded of peach and plum sugar candies I ate as a kid in Korea.) Re-toasting the former red wine casks to impart such a level of sweetness might have been genius on the part of Dr. Lumsden. Palate: Immediately the spice of oak makes it’s way to the front of your tongue and you’re left with a barrage of mixed emotions. Like smelling simple syrup while popping a handful of cinnamon red hot candy into your mouth, so it’s quite a bit spicier than a typical red and white striped peppermint. With a bit of coaxing around the tongue, the spice subsides and gives way to very luscious fruits. These are absolutely decadent candied fruits. Or fruit candy like the kind you’d find in a grandmother’s candy dish that are just slightly stuck together and very obviously, pure sugar. Finish: A handful of fruit flavors wash over the tongue with the texture of canned peach juice in this medium length finish. Nose: The saccharine sweet intensifies and has become ridiculous. It smells like the overwhelming presence of sugar that one can smell when wafting the air over southern sweet tea. That dissolved-in-water sugar that you know is excellent for making rock candy. The natural fruit sugar smells are just a ghost behind this pure candy sugar. Palate: The spice of cinnamon and oak have been tamed with just a small hint to remind you that you’re not drinking candy. Just a touch of bitterness finds its way to your tongue like a ginger chew. Interesting. 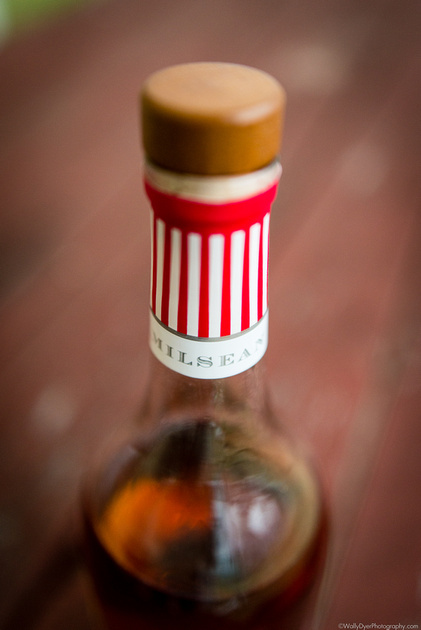 Finish: The finish is just as tasty with delicate notes of tree fruits subtly making their way to your attention. Wow. This expression, I have no doubt, will disappear from shelves as the Nectar D’Or does. People will fall in love with the sweetness and may forget their drinking scotch at all. It’s truly uncharacteristic of any typical highland scotches but that might not be a bad thing. Variety is indeed the spice of life. Or in this case, the sugar and spice of life.